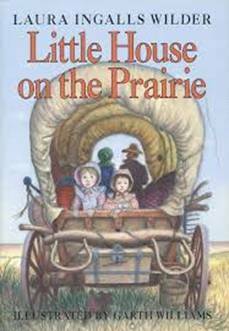 At the invitation of the North Manchester Historical Society, pioneer storyteller Margaret Fritzel will present "The Story of Laura Ingalls Wilder" on Monday, March 9 at 6:40 p.m. at Timbercrest Senior Living Community. The story is told in a slide show covering events in each of the houses in which Laura lived...Wisconsin, Kansas, Minnesota, Iowa, South Dakota, Missouri plus Almanzo's home in New York. Margaret's husband, Douglas, grew up in DeSmet, South Dakota, where Laura lived as a girl and wrote about in the book "By the Shores of Silver Lake." Harold Fritzel, Doug's father, was born in DeSmet and as a boy actually knew some of the Ingalls. Tourists in DeSmet get to visit many sites such as the Surveyors' house, the first home of the Ingalls, the last little house Pa built, the school the girls attended, the Loftus Store plus the cemetery where Pa, Ma, Mary, Carrie and Grace are buried. Margaret began telling stories to audiences of all ages in 1986 and has two other pioneer programs in her repertoire. "The Diary" tells the story of a pioneer family who leaves Liberty, Missouri, and travels via wagon train all the way to Oregon. This program was presented by the North Manchester Historical Society in 2014 and well received. Representing the Jail Museum in Warsaw, Margaret also becomes "The Lady with the Trunk" and recounts a family's journey to Indiana as she pulls items from an antique trunk. The program will be held in the Assembly Room of Timbercrest Senior Living Community, 2201 East Street, at 6:40 p.m. There is no cost for the program, which is free to the public. All are welcome. While many attend only the program, the public is also invited to come to the Assembly Room at 6 p.m. for a meal prior to the program. For those who wish to attend the dinner, reservations must be made no later than noon on Friday, February 6. The cost of the meal is $8.50. The menu is baked ham, au gratin potatoes, green beans, tossed salad with dressing and sugar cream pie. Reservations may be made by calling Evelyn at 260-982-6777, Mary at 260-982-1813 or the Center for History at 260-982-0672. 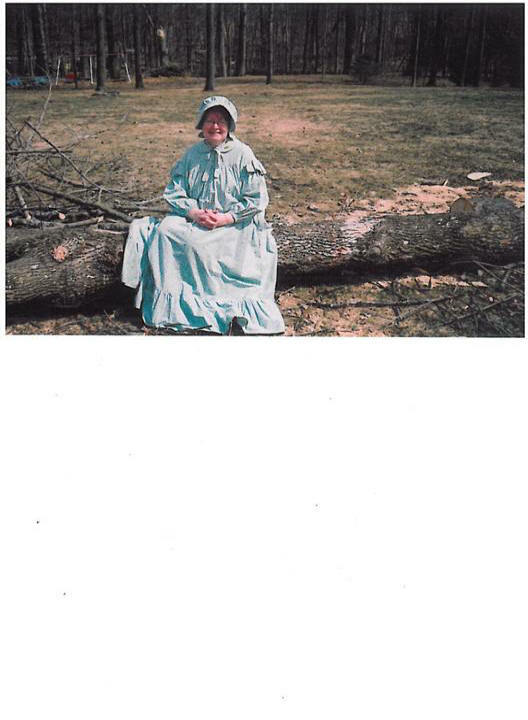 Margaret Fritzel in pioneer dress.